While Blackkklansman may have just made its Cannes Film Festival premiere today, Focus Features decided to lets fans in on what all the buzz is about. 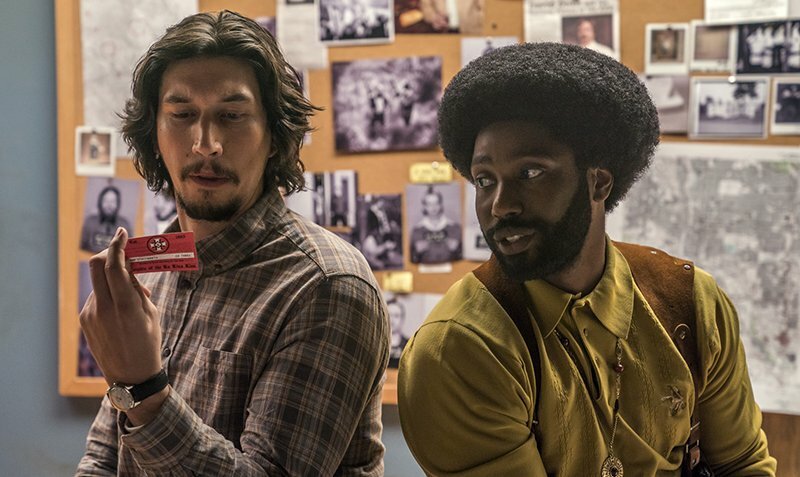 Today, Focus Features released the official trailer for BlacKkKlansman, starring Adam Driver, John David Washington, Laura Harrier, and Topher Grace. This film is based on the book Black Klansman which was written by Ron Stallworth who details his real-life experience of how he infiltrated the KKK. From the looks of the trailer, this movie is going to be a fun ride. I love the chemistry Adam Driver, and John David Washington have, and the movie looks hilarious even though the subject matter may be deemed controversial. It is also great seeing John David Washington step into the spotlight after being a fan favorite on the HBO series Ballers. Make sure you check out the synopsis and official trailer below. Blackkklansman his theaters on August 10th. What did you think of the trailer? Share your thoughts in the comment section below! This movie sounds very interesting. I works like to see it. Looks good, I heard about this unbelievable true story!! Looks like Spike did a good job with it!!! I can’t wait to see it!! Spike Lee is a great story teller. I can’t wait to see this one. I can’t believe it’s a true story. Looks interesting! Im a spike lee fan. Its been awhile since he’s released a movie so id check it out! Looks like Spike Lee is back to form, I’ll definitely check it out !!! I’m over Spike Lee movies but this one has me intrigued. I will wait to see the reviews. Curious to see what this is really about. Keep the reviews coming. It is about time he brings the dopeness back. I will watch this! Interesting. Definitely a conversational movie. I’m here for it! I like Spike Lee’s older films but this definitely looks interesting. I would go see it! Spike Lee always knows how to keep you “woke”! This trailer has definitely peeked my interest. Can’t wait to see this one! Not interested. Wait til I stumble across it on t.v. This film looks like it could be interesting, but I am a little hesitant. Spike Lee knows how to stir the pot a little. In my experience, movies that come out in August are usually not good. I’m a big fan of Spike Lee, so I am definitely up for seeing this. This sounds interesting. Looking forward to your review and seeing this one. Spike Lee is definitely hit or miss, but this looks like something I need to see. Looks really good. He sounds so much like his daddy. I’ll be waiting for your review on this one. Spike has been letting me down as of late, but this story is interesting. I’m interested to see it, especially to since it’s a true story. I’m usually hesitant to see this type of movie, but it looks interesting.